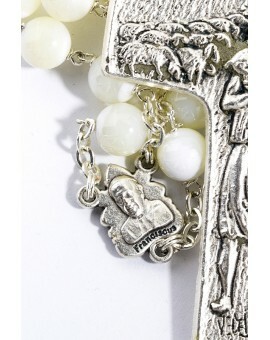 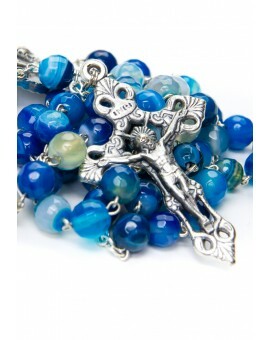 Semi Precious Rosaries There are 35 products. 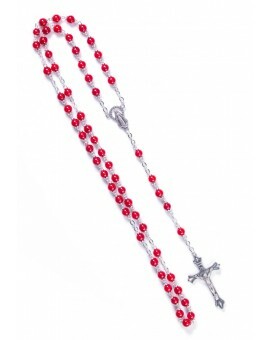 Red Rosary with Coral Beads. 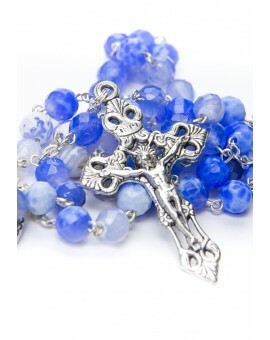 Rosary in faceted Lapislazuli: a deep blue semiprecious stone used in the ancient world, Egypt, Lapis jewelry has been found at excavations of the Predynastic Egyptian sites. 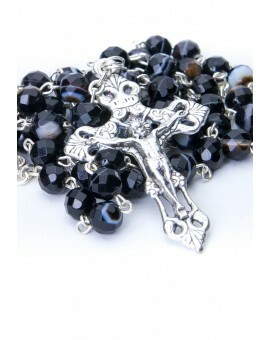 Rosary Necklace in Black faceted Agate. The precious Lapislazuly stone with deep blue color, in a strong Rosary handmade in Italy. 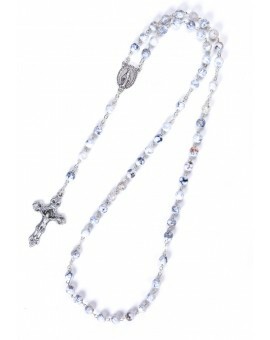 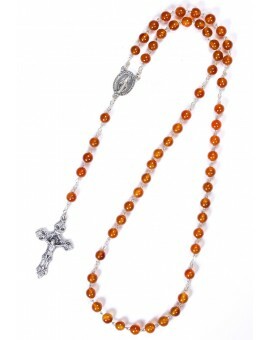 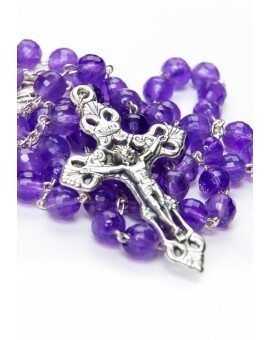 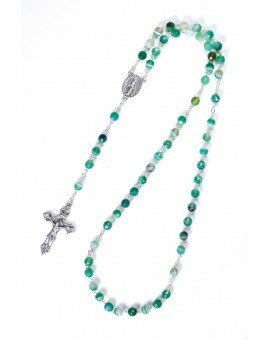 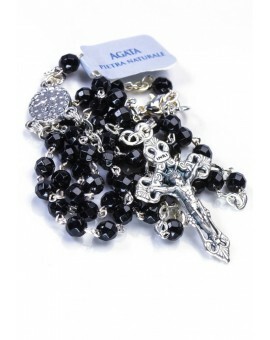 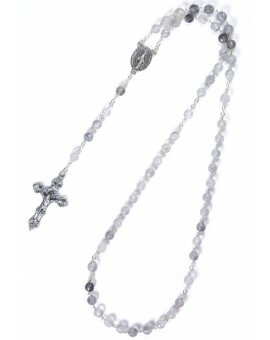 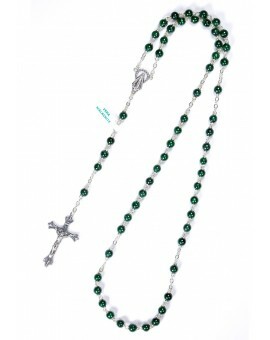 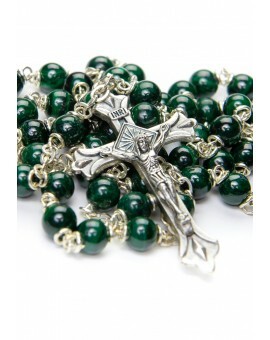 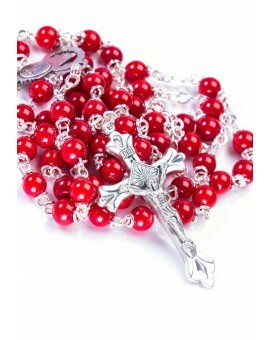 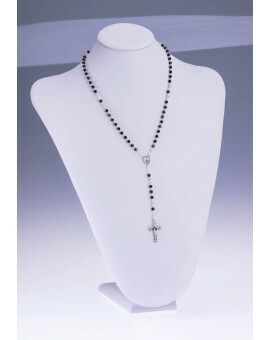 This Rosary is made entirely in certified Amethist 6mm faceted beads. 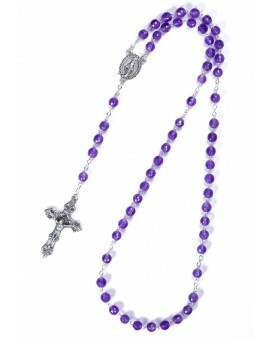 The amethyst is a brilliant transparent stone of a purple colour and varying in shade from violet purple to rose. 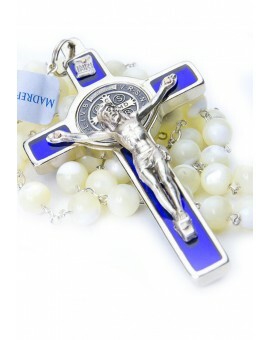 In the Bible Amethist is the twelfth and last stone of the foundation of the New Jerusalem. 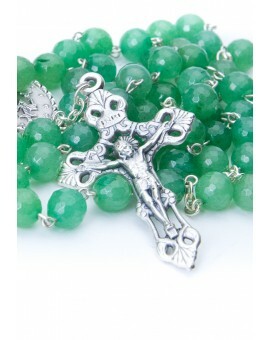 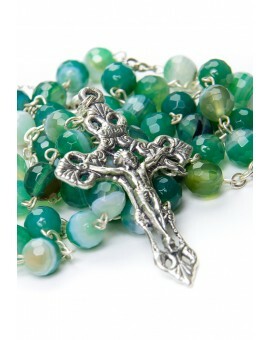 Rosary in faceted Aventurina: a light green trasparent stone. 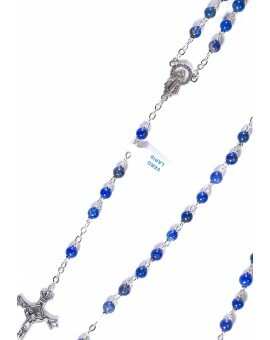 Some of the oldest examples of human jewelry contained Cornelian. 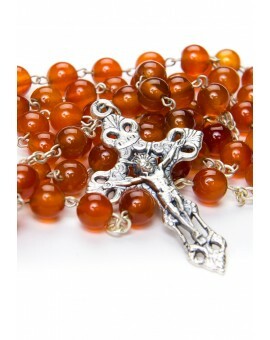 Ancient Egyptian tombs are full of examples of Carnelian jewels. 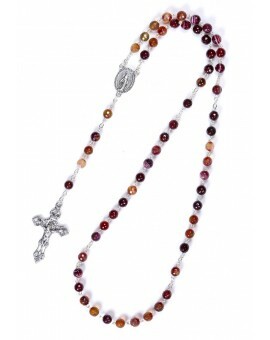 In Hebrew literature, Cornelian appears as a stone in Aaron’s breastplate. 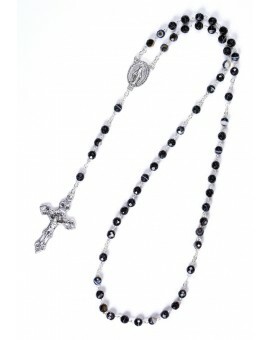 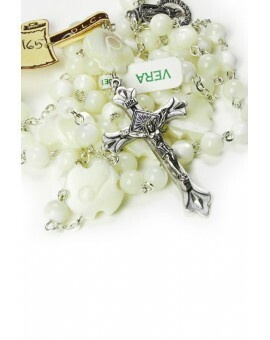 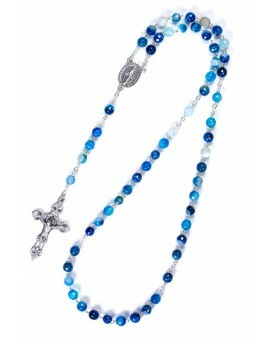 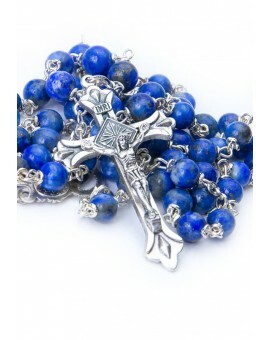 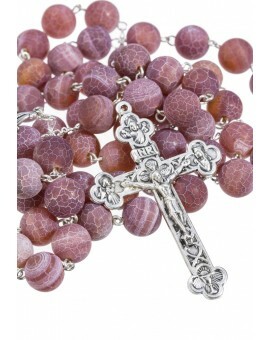 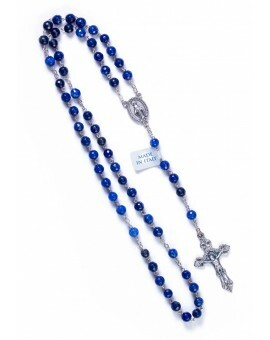 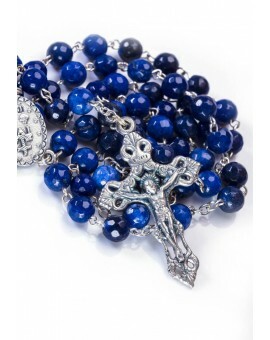 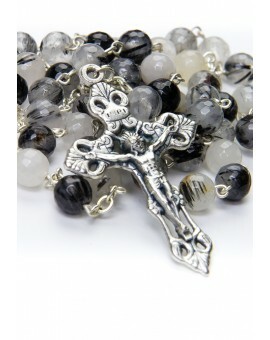 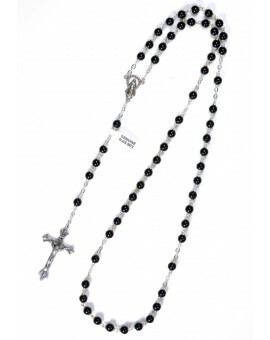 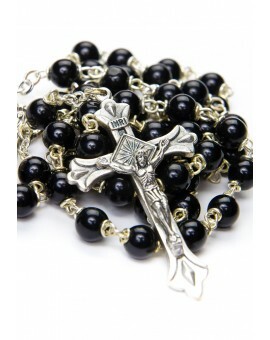 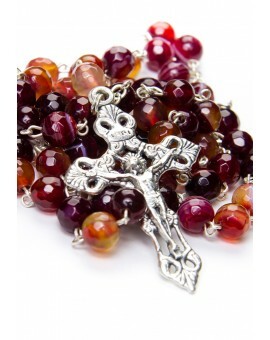 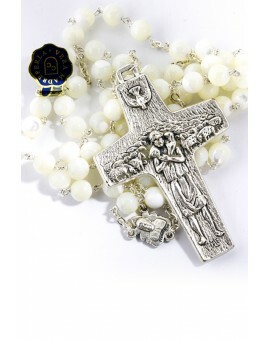 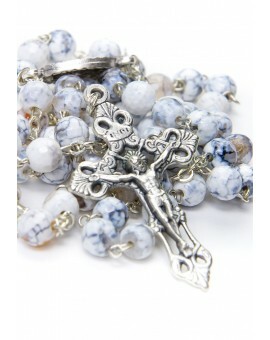 This Rosary is made with astonishing satin Agate beads. 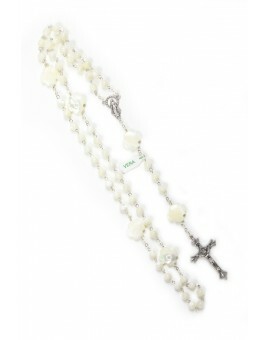 Real Mother of Pearl white translucent beads with Cross shaped Paters.